What compelled Megan Huntsman to kill as many as 7 new born babies? 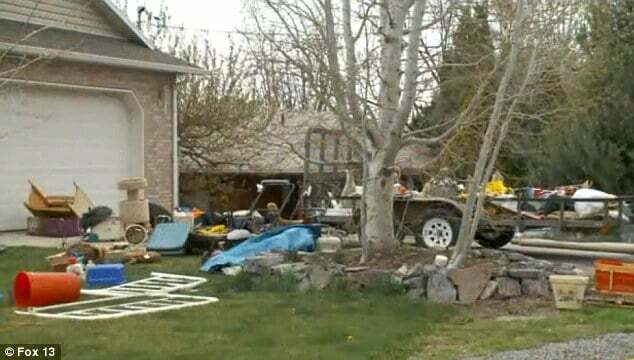 Authorities are trying to make sense of what motivated one Utah mother, Megan Huntsman, 39, to have given birth to as many 7 children only to kill each of them and stash them in boxes in a garage over the course of ten years? 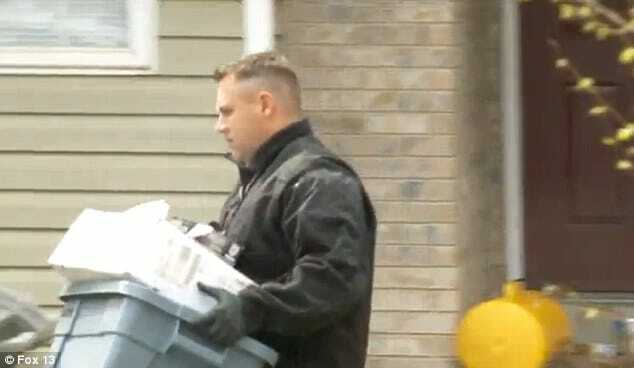 The grisly discovery of the children’s discarded skeletons came to be found by Megan Huntsman’s former husband, Darren West as he took to cleaning the garage of the former home the couple once shared until 2011 this past Saturday. The bodies told the husband were stuffed in tiny boxes. It wasn’t until becoming overwhelmed by noxious smells from one box that the man came to discover to the calamity. At the time the former spouse had taken to removing boxes from the garage in anticipation of moving back into the home, owned by his parents. Upon discovering the first box, West then called cops who then launched an investigation of the garage only to soon find the appearance of a further six bodies with skeletal remains stuffed in boxes. Neighbors told via Fox 13 that Megan Huntsman had come to move out of the home as a result of a substance abuse problem in 2011. It is not understood as to when or why her marriage to Darren West came to an end. SInce the discovery of the skeleton remains of seven children, police officials have told that even ‘grizzled veterans’ came to be emotionally drained at the discoveries. To date, authorities haven’t said whether they believe Megan Huntsman is the mother of all the dead infants, but they have publicly confirmed the 39-year-old woman is in custody for the killings. The exact causes of death for each infant have also not been made public. The ex-husband is believed to be the father of at least some of the babies. Further DNA testing will be carried out to prove the paternity of the babies. Nevertheless questions have been asked as to how the man was was unaware of the pregnancies while living with his former wife. ‘We are mourning this tragic loss of life and we are trying to stay strong and help each other through this awful event,’ the statement said before asking for privacy. 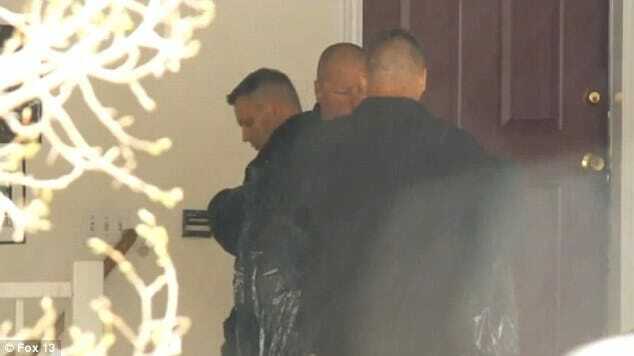 Neighbors have since expressed amazement and confusion as to how Megan Huntsman was able to hide the pregnancies from both her husband as well as from the community. Authorities have told that the former couple have three other daughters with the oldest being 20 and the youngest only 13-years-old. In explaining the former husband’s lack of knowledge of the birth of the children, authorities told that Darren West had been absent from the family home after conviction on drug distribution charges led to a nine-year prison sentence. After a myriad of appeals, West ended serving tim from 2006 to 2008. Authorities reiterated that it was not clear if any of the babies found dead were fathered during that time. Police records show that Huntsman had no prior criminal record outside of a 2011 traffic violation. Subsequent to Huntsman moving out as a result of substance abuse issues in 2011 neighbors reported noting that the woman had gained and lost weight over the years. Nevertheless it never dawned on them that the woman was pregnant. Huntsman has been charged with six counts of murder. Woman kills 7 babies, but hey she’s an addict/ suffers from mental illness etc she’s not to blame But how did the husband not notice, it’s all his fault etc Everyday sexism coming to light. How old are the daughters? are they old enough to have babies? Could these be someone else babies? i wonder if all the babies that were killed, were male. why did she keep the three girls that she has been raising? just trying to understand the motive of such a horrific act. My question is this, In a 10 yr span the husband never went into the garage and smelled the decomposing bodies? I believe he has more of a part in the situation then being told! Here is my problem still born or not if she was doing drugs and they Find the drugs in the deceased baby’s she can s gonna be held responsible for her actions. I’m not making excuses for her, she needs to be held accountable for what she’s done, but I have a feeling that this is a situation where she would have been much better served had she been given access to information about birth control and family planning in a scientific, educational manner in her adolescence rather than being raised to believe that god wanted her to do nothing but pop out kids.